With this ring, I thee wed. Now let’s hit the bud bar and have a good time. What’s a wedding without weed? For many cannabis users, it’s the new must-have for their Big Day. Wedding planners have moved quickly to catch up with demand. They now offer services that mix cannabis into the traditional wedding playbook. How popular is this getting? They already have a whole events built around it in Colorado and California. For those who want to put weed into their wedding day, the Cannabis Wedding Expo allows them to meet with a variety of 420-friendly wedding planners at one event. The expos have been held annually in Denver and San Francisco. A third expo in Los Angeles is expected for 2018. The cannabis-friendly couple has plenty of options. One of the most popular is replacing the traditional drink bar with a bud bar. Much like you can hire a company to run an open bar at your wedding, the same can be done with a marijuana bar. It actually is typically cheaper, with companies charging around $300 for a bar open for two hours. 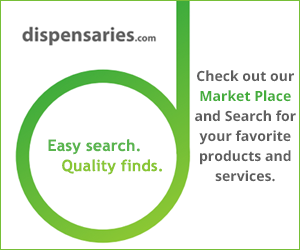 The companies provide pre-rolled joints, glass pipes and vaporizers for guests. Some couples spend extra and get edibles and cannabis-infused drinks. Other services couples can use include cannabis floral arrangements, hemp wedding dresses and marijuana party favors. Wedding planners also can coordinate the entire event, ensuring that the couple uses cannabis-friendly venues, photographers and transportation. In short, these companies at the expos offer couples “the chance to engage with progressive traditional wedding vendors and specialty cannabis brands to learn how to incorporate cannabis into their wedding day in classy and tasteful ways,” according to the expo site. One company offers a glimpse into the popularity of cannabis-friendly weddings. Irie Weddings and Events in Colorado has been on the forefront of the marijuana wedding trend. Colorado has allowed adult-use marijuana sales since 2014. Company owner Bec Koop told Time that she moved into cannabis weddings from the traditional hospitality industry shortly after recreational marijuana became legal in the Rocky Mountain State. She did five weddings in the first year, a number that doubled in the second year. She expects to do two dozen weddings this year. People are already booking into 2020. Her services include complete planning of the event (about $3,000) to a more minimal booking of an officiant, photographer and dinner reservations ($420, naturally). About half her clients come from out of state and have a minimal amount of marijuana at the event. The other half are Coloradoans who place cannabis throughout the ceremony, including hemp dresses for the bride and bridesmaids. They may even have a “first smoke” before the first kiss using a pipe with two openings.